For many of us, he is the Krishna of Shyam Benegala��s TV serial, Bharat Ek Khoj, and the villain in movies like Vettaikaaran and Vetri Vizha. But according to Salim Ghouse, he is first and foremost a theatre artiste. a�?I call myself a cosmic fool,a�? he begins. a�?I sign one silly-named film a year, invest my time and professionalism, and make enough money so I can take the next six months offa��to do something that doesna��t give me any money, which is theatre.a�? 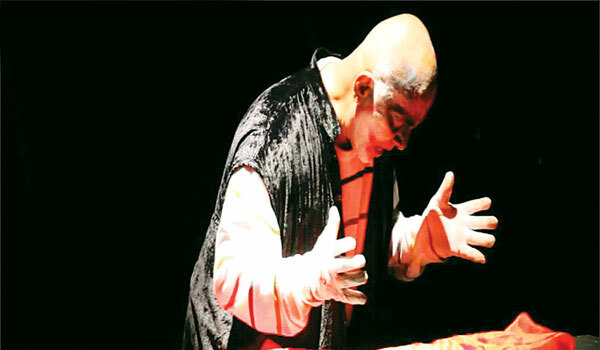 The Mumbai-based creative director of The Phoenix Players, a theatre group established in 1984, is on a missiona��to approach every production with originality and to dispel the belief that acting is imitation. In his very first theatre workshop in the city, Ghouse says he wants to reinforce the fact that a�?acting is interpreting and not projecting. Most actors mimica��like they believe an angry person will act a certain way. But my approach is difficult, ita��s more reala��I insist that acting is behaving and only comes when you interpret a scene with the truth of your understanding. It needs to come out of your personal truth and experiences.a�? Titled Simple Secrets: Play Around, the two-day workshop will cover callisthenics, movement, improvisation, character and scene study. a�?I have structured it as a journey that begins with learning the basics of fitnessa��from something as simple as how to stand or walk correctly. If you look like a sack of potatoes on stage, the audience will immediately disconnect,a�? says the 50-something actor. A grandmaster in karate, besides being trained in martial art forms like Tai Chi and Kalari, Ghose also gives a lot of importance to movement. a�?I am going to ask people to sit, move and discover what they know and dona��t know. I will also use a lot of improvisationa��they will be given situations that they may not know everything about. So theya��ll have to make up lines, be spontaneous. I call this discovering behaviour, where one has to keep onea��s instincts and impulses open,a�? he explains. Ghose promises this will be just the first of many workshops to come. He wants to bring down dedicated workshops for speech (a�?where passages will be ripped apart and studied for pauses and stressa�? ), movement (a�?with Tai Chi and Chi Kunga�?) and even a workshop on self defence for women. a�?I also want to bring down Shakespearewallah, a tribute I created last year on the Barda��s 450th birth anniversary. It is a minimalist play that incorporates some of my favourite Shakespearean characters and is told using the metaphor of an old actor-clown who is dying,a�? he concludes.